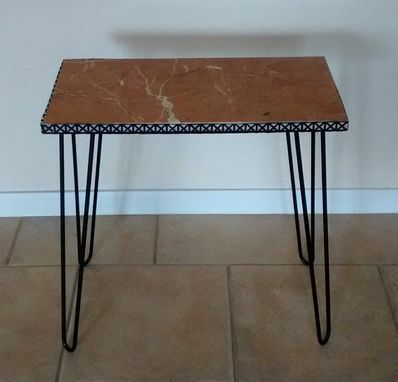 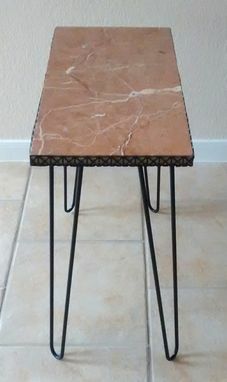 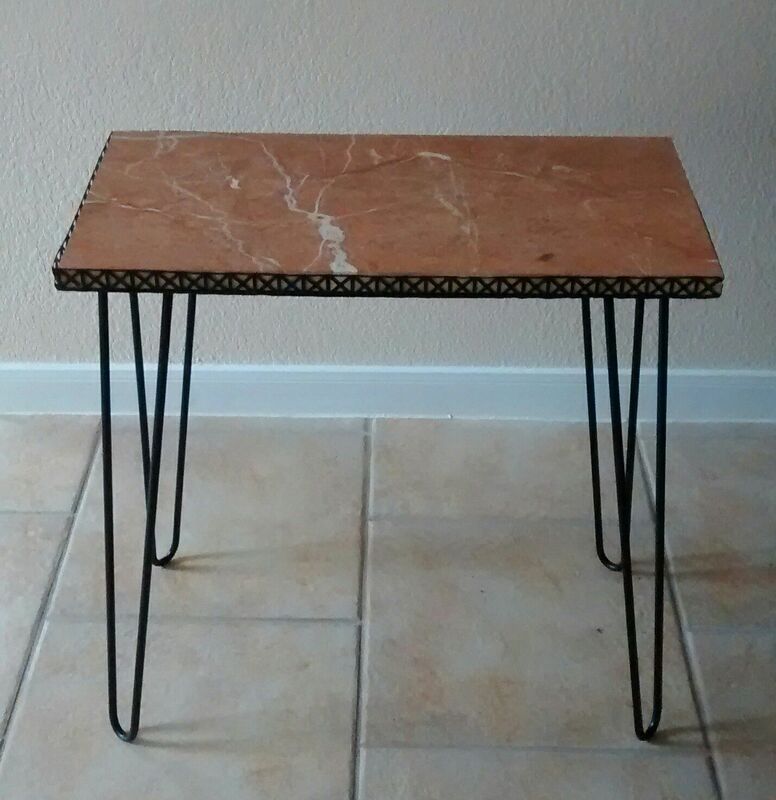 Italian Rose marble accent table on a base of hand-tooled black metal hairpin legs welded to a platform enhanced with decorative metal edging. 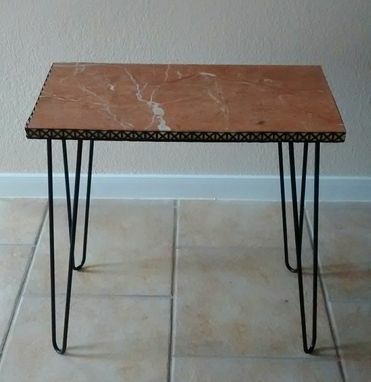 Size 12 inches wide by 24 inches long. 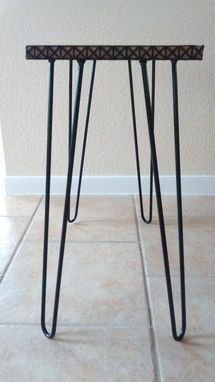 height is 24 3/4 inches weight 35 pounds.